Since 2006, GeekTonic has covered media-focused technology. Any gadget, tool or website related to TV, Video, Movies, Music, Photos and other media is covered at GeekTonic along with the media itself. You’ll find a very strong focus on Home Theater PC’s, media players and any similar device on GeekTonic along with the media (Television, Movies, Music, Photos) you access on those devices. Select content on GeekTonic is contributed to ZatzNotFunny!, an excellent and very popular digital media blog run by Dave Zatz. GeekTonic is a name that was born out of a combination of things. Tonic(water) is known by many (myself included) as the thing you you add to Gin and Vodka (you might notice the lime in the GeekTonic logo). But tonic also has that old-time therapeutic meaning too. I’m a self-described geek (proud to be so by the way) without any programming training, but with a very strong passion for all things technology. 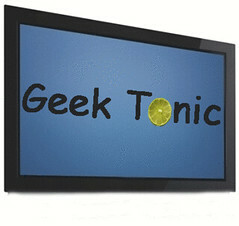 I think the “tonic for your inner geek” tagline really describes what I’m going for with GeekTonic. Whether you are a full-blown tech-geek or just a “regular” person who is interested in technology, GeekTonic’s purpose is to help you wade through the world that is making media more accessible and powerful through gadgets we all love. HTPCs, MP3 players, media players, place shifting etc. You’ll find plenty of posts here that introduce you to new media-technology, but you’ll also learn by way of in-depth articles, reviews and conversations. Brent is passionate about technology and more specifically media-focused technology. Many call me the following: a gadget junky, geek, nerd, early adopter, media consumer etc. My interest in technology goes back to my youth when I was fascinated by the Atari 2600, Commodore 64 computer and many other early gaming and computing devices. I’ve been a Home Theater PC user since 2004 when I first used Meedio to transform my computer into a TV-connected media player. Many years later that hobby turned into a passion and more importantly a practical use of my home computer. Brent resides in Kansas City. Brent’s day job is mostly unrelated to what you find on GeekTonic. Brent’s opinions do not represent those of his employer/s. Blogging is still my way of sharing with others what I’m learning. I do it because I love sharing. Any advertising earnings are going right back into the blog so it’s definitely not for the money ;) If your not enjoying GeekTonic, I’m doing something wrong and hope you’ll let me know. Want to Guest Blog on GeekTonic? Do you love Media Technology too? Want to write an article for GeekTonic? I encourage you to contact me with your ideas. Guidelines for guest blogging and more information can be found here. GeekTonic does not allow pay-for-posts or accept payment for product reviews. Reviewed hardware provided by vendors is disclosed as such and returned to vendors, given away through site contests, or purchased after publication. Reviewed software provided by vendors is disclosed as such and uninstalled or purchased after publication. In those cases where products that are already owned are reviewed, that fact is specifically disclosed in that review. Personal data is not shared with third parties. Full GeekTonic RSS Feed – Don’t miss any article on GeekTonic – subscribe to the full, RSS feed for GoogleReader or any other RSS reader. GeekTonic TV Premiering and Returning Television Shows – Each Sunday GeekTonic provides a complete rundown of the premieres and returning from hiatus TV shows so you don’t miss setting them to record on your DVRs. This is a weekly post whenever there are new shows starting on TV. Netflix Watch Now Recommendations – New Netflix streaming titles with GeekTonic’s picks for the week. This is a weekly post of ONLY the Netflix streaming movies/show picks for the week. All reader comments, questions, and tips are welcomed! Blatant spam comments will be deleted, but all other conversation is encouraged. Communication with readers is the point of the GeekTonic community. Beyond comments, you will also find GeekTonic on Twitter. I encourage you to follow me on Twitter – I really enjoy the dialog we can have on twitter beyond the normal blog comments. GeekTonic wants to hear about your new products and services so we can share them with the GeekTonic community. More importantly, if you’re willing to provide a demo product or early access GeekTonic will provide the early and in-depth coverage you are looking for for your product. Please feel free to contact me to tell me (or better yet show me) what you have. If you would like to donate your product for review or promotion, you’ll find GeekTonic handles giveaways in a professional manner while providing considerable buzz and exposure to the product. Contests & giveaways are a very popular way to get GeekTonic readers interested in your product. Interested in my opinion or experience with a particular media-tech topic? Please feel free to contact me – I’m available for comment via print, TV or radio. To keep the spam down, I don’t show my e-mail initially, but you can contact me via this e-mail form and I will respond. I receive quite a bit of e-mail so make that subject line very descriptive. If you are interested in advertising with GeekTonic, I offer several flexible advertising options for you to reach your audience. All advertising needs to be focused on the topic of GeekTonic such as media technology and media in general (see above for more description of the focus). GeekTonic started from very humble beginnings, but has experienced drastic growth over the past year. As of February 2009, average monthly pageviews have exceeded 100,000 per month. The RSS subscriber base is now exceeding 1,000 subscribers. I owe this success to the readers and GeekTonic community and will strive to continue to provide the content and community that brought you the users to GeekTonic in the first place. If you want link from your site to Geek Tonic you are welcome to use short quotes from Geek Tonic in your website or blog as long as proper credit is given. But please quote only short excerpts - up to one paragraph - from the site when you make the link.You must credit Geek Tonic when you quote. Always provide a hyperlink (full URL) to the article where the quote is from - not just the homepage. Copy quoted material exactly, enclose it in quotations marks, and mention Geek Tonic immediately before or after the quote. For Print media: The full web address of the referred to post must be printed. If you want to reprint an article from Geek Tonic on your web site, blog or in your publication, please contact me with your request. Articles from Geek Tonic can be reprinted only with permission from it's owner in advance. You may not republish an entire Geek Tonic post without advance approval. Copyright Violation and Misuse We take plagiarism very seriously. If we discover a website, blog or any internet sit republishing the Geek Tonic RSS feeds or website content illegally, A formal complaint will be filed with the offending sites advertising partners (such as Google Adsense etc) and the DMCA department of their web hosting company. Another busy week is complete. In case you missed anything, here is a summary of the past week's news and stories on GeekTonic. Hulu Forcing Boxee to Pull Hulu Content - While not entirely surprising news, it was the worst news in the Media Gadget world for a long time. Very disappointing. Hulu Versus TV.com - It's On! Hulu's precursor to the Boxee debacle. Hauppauge Working With Microsoft on Windows 7 HD-PVR - Great news for Microsoft Media Center users! I subscribe to the one-out-at-a-time, unlimited Netflix Plan to keep the cost down (currently $8.99 per month), still get a physical DVD every week and to have unlimited access to the Netflix Online Streaming. 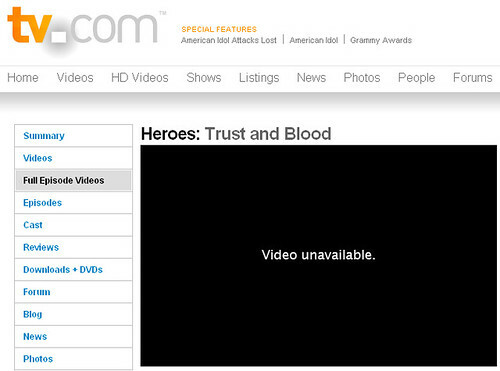 Some who use the Roku or XBox360 might wonder why there isn't a streaming-only plan for a little less money. According to an interview with Bloomberg News, Netflix CEO Reed Hastings is considering that very thing. Hastings didn't reveal how much they might charge for a streaming-only subscription with Netflix, but he did say that this type of play could arrive as soon as "late this year" or 2010. The question then would be, how much are customers willing to pay for such a service. They have definitely upgraded their streaming movie collection, but it's still full of older movies and TV shows. If they had a "premium" streaming service with newer movies and a larger collection, I'd be willing to pay more and I think others would be to. What do you think? Would you pay for an online-streaming-only service from Netflix? 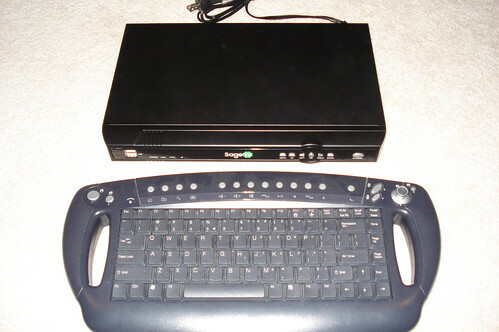 If you have a computer as part of your Home Theater PC (HTPC) setup there is no doubt a keyboard is an important hardware component for that setup. 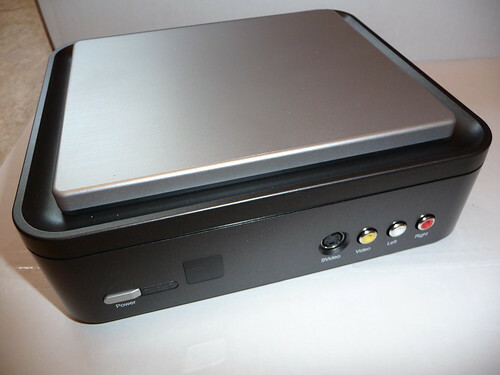 But what if that HTPC is in the living room, bedroom or somewhere else in the home - in these situations you want your HTPC to fit in with the home theater environment and therefore most control will happen with your remote control. Even still, there will be those times when you need a keyboard and mouse to control your computer - either to do maintenance or possibly to type in those longer text searches for instance. So which keyboard should you choose? This week, we'll run through some excellent options for compact, wireless keyboards designed exactly for this purpose. 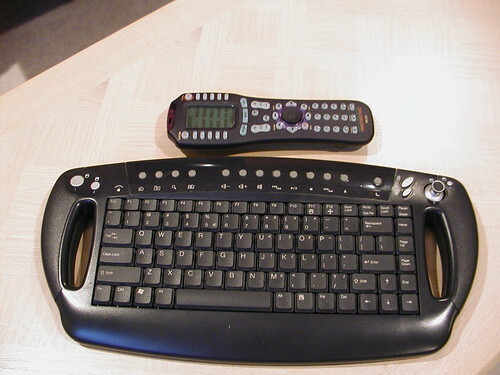 Today's review is the BTC 9019URC Wireless HTPC Keyboard with Joystick Mouse Control. Ease of Installation - "syncing" of keyboard with computer etc. The BTC 9019urf HTPC Keyboard is the HTPC keyboard I've used for the past few years so I know it pretty well. It's a reasonably priced keyboard that handles what you need for Home Theater PCs. This model has been around a very long time - think 2004 long, but it's still up to the task for my setup. The BTV 9019URF is made of black plastic. It looks good and feels very solid - actually I should say IS very solid as I've dropped this keyboard quite a few times over the years and it's never shown so much as a scratch or been affected by my carelessness. That's a good thing since it will be used in a livingroom or family room and could tend to be knocked around the couch or recliner when the user isn't paying attention. The first thing you'll realize with this keyboard is the size. It is not a small keyboard by any means. It doesn't have the number keypad of the desktop keyboards, but the handles on the sides seem to make up for that. The "handlebars" on this keyboard are quite unique but they really work to make the keyboard manageable in the living room setting. Another thing you'll notice is the "joystick" on the top-right of the keyboard that is used to control the mouse movement. Install the two AA batteries into the keyboard. Give it a second to "sync" it almost always does this without any user intervention, but if you happen to have trouble getting the keyboard to respond, you can press the connect button on the receiver and then press the connect button on the top left corner of the keyboard to force the two to communicate with each other. I've only had to do this one time in the several years of owning the keyboard. As you might imagine since I've owned this keyboard for so long, I like the BTC 9019URF quite a bit. The joystick mouse responds to normal mouse functions (left right etc) and also can act as a left-mouse-click when you push down on the joystick. Notice the page-up and page-down buttons to the left of the mouse. 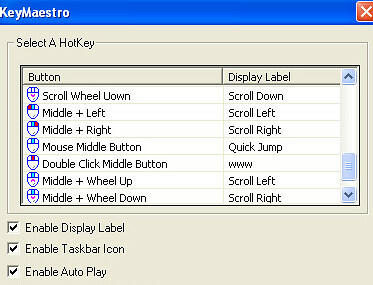 VERY useful buttons - you don't realize how useful until you browse the web with your HTPC. 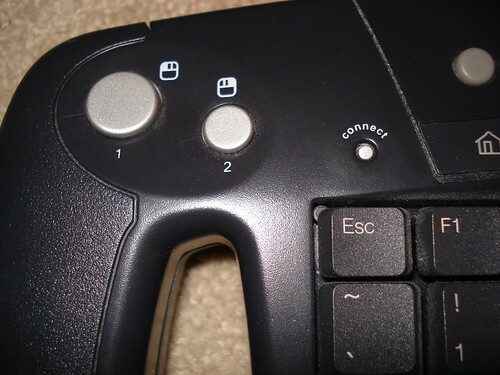 To the right of the joystick is a right-mouse button. 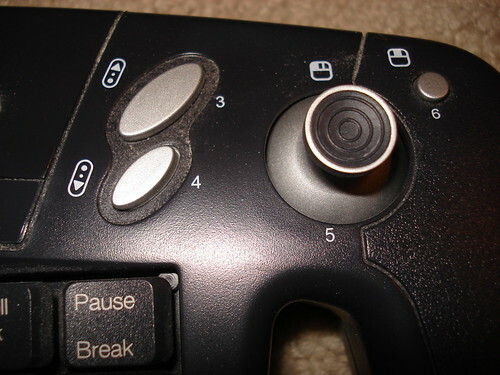 The joystick acts as a left-mouse button when you press down on the joystick with your right thumb. On the left side of the keyboard is another set of right and left-mouse buttons. Very well thought out layout which works perfectly for me. The range is good for an RF wireless keyboard. I can use the keyboard up to 30 feet away with no problems - even with the HTPC and receiver behind a glass cabinet door it worked just fine. Just know that range can diminish behind wood doors and walls. One thing I noticed is anytime you have the USB receiver too close to the TV set, range suffers. I had best results when the receiver was at least a few feet away from the TV. In many setups this will be a problem since your HTPC is near your TV by design. I call the thumb mouse a "joystick" because that's what it reminds me of. The joystick takes a little getting used to as it's movement is a little slower than a typical mouse. You can of course adjust the mouse settings, but in the end I just got used to the different motion of the joystick mouse. There is a slight delay when you use the mouse before it responds at first - this is another thing that takes some getting used to. With that said, my family has no problem using the joystick mouse and keyboard. 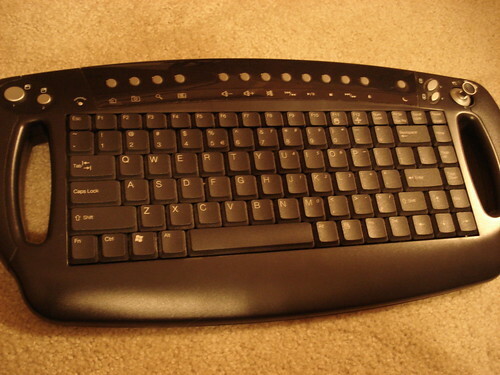 I believe any HTPC keyboard needs to have a mousepad or some similar ability to control the mouse action built-in as it's a bit unwieldy to use a separate mouse and keyboard while on the couch. Don't think this "joystick" will work well for games also though - it's really meant for mouse control - nothing more, nothing less. I have been really happy with this keyboard. The price was really attractive when I bought it and if you can find it now it's even cheaper. You'll find that the newer BTC model is more prevalent and has taken care of some of the issues mentioned in this review. But even with the issues I mention, I've been very satisfied with this keyboard for my HTPC. Note: The keyboard I'm reviewing here is the older model 9019URF. There is a newer version 9019IIIurf being sold that is supposedly very similar with a few slight differences. You can still find this old keyboard, but most likely it will be at surplus stores or used. I'd still buy one used if the price was low ($40 or less) and it was in excellent condition. Stay tuned to GeekTonic next week for more Keyboard Reviews and two great giveaways. We've stayed away from talk of the DTV switchover for the most part because of two things: First, most readers of GeekTonic will be unaffected by the switchover because they already use CableTV, SatelliteTV or Over-the-Air HDTV. Second, there has been enough confusion to this point thanks to our politicians and bureaucrats. Still, now that the original switchover date has arrived and some TV stations are switching officially today I thought I'd cover what it means today and who will be affected. Originally the DTV switchover was to happen today, February 17th for ALL TV stations around the U.S. Basically, all OTA analog transmission would have been switched off and those whose TVs were grabbing their TV content from their antenna and who don't have either an HDTV tuner or a converter box would get nothing on their TV sets. Simple right? it all would have happened on one day, you know you needed to get that converter box, switch to cable or satellite or get a new TV by today. Well our trusty politicians spent some of their energy confusing the issue by delaying the deadline for the DTV switchover to June 12th, 2009. Even better this date is simply a deadline so stations could still save a little money by turning off their analog broadcasts before the June 12th deadline if approved by the FCC. If you are one of those who might be affected, take a gander at the list below sorted by state to see if your local TV station got approval to switch on February 17th. The list seems to be mostly made up of more rural areas with some exceptions. If you're in one of these areas let us know in the comments how things are going. Some stations even switched well before now as well.